Did you watch a lot of television during the 1990s? If so, then this quiz is for you. Take up the challenge and answer the 13 questions below. Good luck! 1. On Frasier (1993-2004), what was the last name of Daphne, the Crane's British housekeeper? A. Daphne's last name was Wade. B. Her last name was Warren. 2. 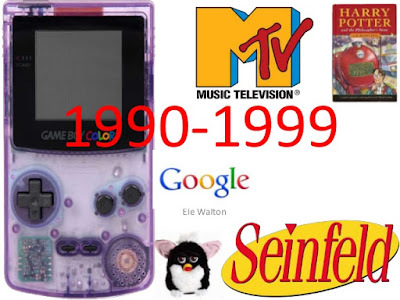 Full House, which aired on the ABC network from 1987 to 1995, focused on a widowed television broadcaster named Danny Tanner (Bob Saget) and his three daughters. Helping Danny out were his brother-in-law, Jesse (John Stamos), and Jesse's friend, Joey Gladstone. Name the actor who played Joey. 3. 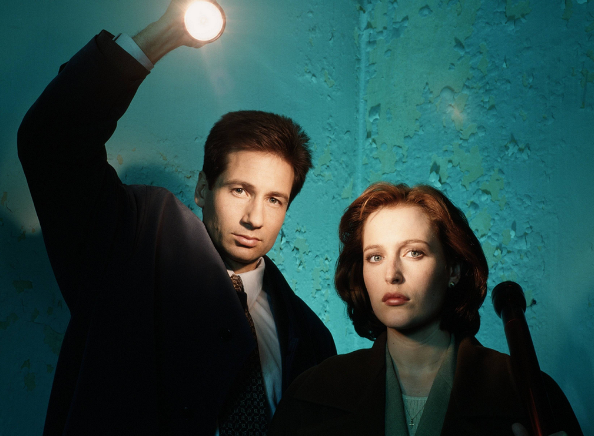 On The X-Files (1993-2002), FBI special agents Fox Mulder (David Duchovny) and Dana Scully (Gillian Anderson) investigated unexplained cases. What was Mulder's FBI nickname on the show? A. Mulder's nickname was "Spooky." B. His nickname was "Ghost,"
4, Mad About You (1992-1999) was a sitcom about a young, married couple in New York City. The series starred Paul Reiser as Paul Buchman, a documentary filmmaker, and Helen Hunt as his wife, Jamie Stemple Buchman. What was Jamie's occupation? 5, Mad About You ran for seven seasons. Paul and Jamie became parents when their baby girl was born during the last episode of the show's fifth season. What name did they choose for the child? 6. On Mad About You, who played Jamie's mother, Theresa Semple? 7. On Seinfeld (1989-1998), "the show about nothing," comedian Jerry Seinfeld's friend, George Costanza (Jason Alexander) quits his job at Rick Barr Properties in an episode entitled "The Revenge" (Season 2, Episode 12, Air Date: April 18, 1991). For what reason did George quit his job? A. His boss refused to give him a raise. B. His co-workers were cruel to him. C. The job was too boring for him. D. He was banned him from using his boss's executive washroom. E. He wanted to pursue his dream of working for the New York Yankees. 8. On the sitcom Friends (1994-2004), how were Ross and Monica related? A. They were first cousins. B. They were brother and sister. C. They were brother-in-law and sister-in-law. D. They were stepbrother and stepsister. E. They were not related at all. 9. On Friends, what was Ross' profession? 10, Home Improvement (1991-1999) starred Tim Allen as Tim Taylor, the host of a television home-improvement show called Tool Time. He and his wife, Jill (Patricia Richardson) had three sons and lived in a Detroit suburb. What was the name of the Taylor family's neighbour? 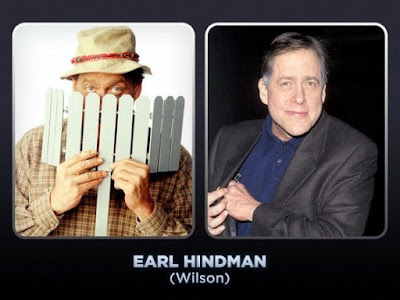 C. Wilson W, Wilson, Jr.
D. Richard R. Wilson, Jr.
11. Who played the role of Lisa, the "Tool Time girl" in 23 episodes of Home Improvement? 12. 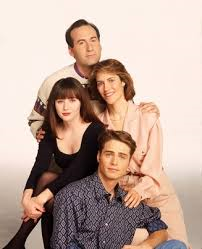 On Beverly Hills, 90210, which aired from 1990 to 2000, the Walsh family, moved to California from another state. Where did they live before they came to Beverly Hills? 13. What does the title Beverly Hills, 90210 mean? A. Beverley Hills, 90210 is the name of a fictional restaurant on the show. B. "90210" is the street number of the Wash family's home. C. Beverley Hills, 90210 is the name of a fictional hotel on the show. D. "90210" is a zip code in the Beverley Hills area. The role of Daphne Moon, the Crane family's housekeeper, was played by Jane Leeves. After Frasier, Jane went on to star in the sitcom Hot in Cleveland. 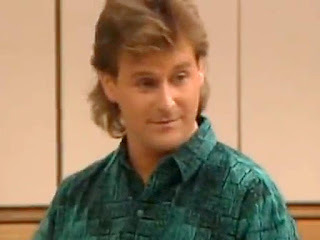 Dave Coulier played the role of stand-up comedian Joey Gladstone on Full House. David Alam Coulier was born on December 21, 1959 in St. Clair Shores, Michigan. In addition to being a stand-up comedian, he has worked as an actor, impressionist, voice actor and TV host. Coulier has also appeared as himself on reality shows such as The Surreal Life and Skating with Celebrities. On July 2, 2014, he married photographer/producer Melissa Bring in Montana. It was the second marriage for the entertainer. From 1990 to 1992, he was wed to actress Jayne Modean. They have a son, Luc Coulier. On The X-Files, Fox Mulder, played by David Duchovny, had an official FBI nickname. It was "Spooky." Mad About You's Jamie Buchman was a public relations specialist. Paul and Jamie Buchman chose to name their baby Mabel as an acronym for "Mothers Always Bring Extra Love." The acronym was suggested by Jamie's mother, Theresa Stemple. Mabel was born on an episode entitled "The Birth: Part Two" The episode aired on May 20, 1997. 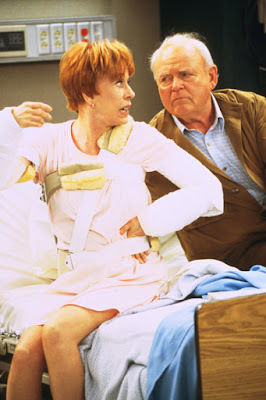 Carol Burnett played Theresa Stemple, Jamie's mother on Mad About You. Carroll O'Connor portrayed Gus Stemple, Jamie's father. In the Seinfeld episode "The Revenge," George Costanza quits his real estate job and insults his boss, Rick Levitan (Fred Applegate), after being banned from Levitan's personal bathroom. Realizing that he may have acted too hastily, George returns to work as if nothing has happened. 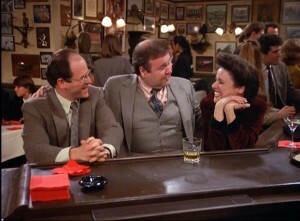 When Levitan refuses to let him get away with it, Costanza enlists his friend Elaine (Julia Louis-Dreyfus) to help him exact revenge by slipping him a mickey. 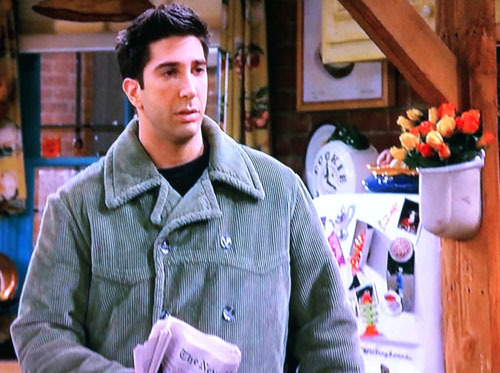 On Friends, Ross Geller (David Schwimmer) was Monica Geller's (Courtney Cox) older brother. Ross Geller was originally a paleontologist.at New York City's Museum of Natural History. He later became a tenured professor of paleontology at New York University. On Home Improvement, Wilson W. Wilson, Jr., played by Earl Hindman, was Tim Taylor's neighbour and confidant. Hindman died of lung cancer on December, 29, 2003. He was 61 years old at the time of his passing. Pamela Anderson play the recurring role of Lisa on Home Improvement. As the "Tool Time girl," her duties consisted of introducing the hosts of the Tool Time show, Tim Taylor and his assistant, Al Borland (Richard Karn) and handing them their tools. Jim and Cindy Walsh (James Eckhouse and Carol Potter) and their teenage twins, Brenda (Shannen Doherty and Brandon (Jason Priestley), moved to upscale Beverly Hills from Minneapolis, Minnesota. "90210" is the most celebrated ZIP code in the Beverly Hills area.